Thank millennials and a poor economy for the sport’s falling popularity. As a teenager caddying at a restricted country club, I resented the bigotry but accepted the tips. I learned to play golf myself and eventually got fairly good at it, but now I hate the game. Let me tell you why. The ecological and aesthetic harm caused by most of the world’s 34,000 golf courses — 45 percent of them here in the United States — is widely acknowledged today. Natural habitats have been disfigured and destroyed to create highly organized, artificially watered and unarguably fake nature. Some people find golf courses calming and beautiful, but that beauty comes at a price. Since 1982, the United States Golf Association has funded efforts to conserve water through improving irrigation technologies, planting grasses that require less irrigation, and using recycled water from sewage treatment facilities. Despite these commendable efforts, precious water is still being squandered in places like California’s Coachella Valley, which includes Palm Springs and Palm Desert, where, despite a severe drought, golf courses continue to use about 37 million gallons of water a day. In drought-stricken Arizona, Phoenix-area courses routinely use more than 80 million gallons per day. The pesticides, fertilizers, fungicides and herbicides spread by the irrigation water all harm complex ecological systems on land and at sea. 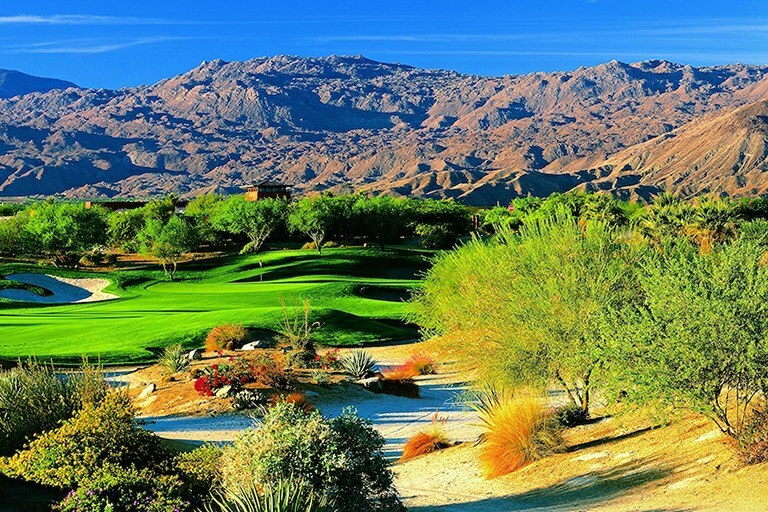 The Mountain View Course at Desert Willow Golf Resort in Palm Desert, California. So critics like me are happy that the game’s popularity is waning. According to the National Golf Foundation, a high of 30.6 million golfers in 2003 had been reduced to 24.7 million by 2014. The number of golfers between ages 18 and 34 has declined by 30 percent over the past 20 years. Millennials are apt to find the game far too slow — five hours or more to finish 18 holes — for their 21st century tastes. They are also typically more open-minded than their elders, and therefore tend to be turned off by the racism, sexism and snobbery that have long been associated with the country club scene. The ultimate result is that more than 800 courses across America have closed in a decade. Some of these courses have become housing developments, others parks, and a few landowners have taken advantage of tax breaks by donating their properties to nature trusts. One of the reasons for this change had been explained succinctly in Forbes Magazine: People simply can’t afford to play golf anymore. I find that easy to believe. In 1958, a friend named Bob and I, both of us college students, reserved a tee time and paid $8 apiece to play 18 holes at the famed Pebble Beach course on the Monterey Peninsula. We talked about natural beauty during our round and agreed that the land, sea and sky we saw that day would have been far more beautiful without the intrusion of the golf course we played on. For a similar tee time today, however, Bob and I would be required to stay a minimum of two nights at the Pebble Beach Lodge or an affiliated property, and the 18 holes would cost us a minimum of $1,835 apiece, carts and caddies not included. Mark Twain may or may not have said (the quotation’s origins remain murky): “Golf is a good walk spoiled.” But even that isn’t true anymore, because very few golfers still walk. Most climb in and out of motorized carts whose costs aren’t included in Pebble Beach’s exorbitant greens fees. The only virtue the game ever had — moderate exercise — is gone forever. It would be impossible to pass legitimate judgment on golf without mentioning our current so-called president, who owns 37 courses worldwide. He does play the game — though apparently not very well — and many of his playing partners say he cheats. Of course, former President Barack Obama and many others also played some golf. But Donald Trump is in a league of his own, as sportswriter Rick Reilly put it: “When it comes to cheating, he’s an 11 on a scale of one to 10.” We assuredly have a right to ask for both better games and better presidents. I understand that a backpacker or cross-country skier might be too much to hope for, but we’re in desperate need of an authentic populist. When we get one, maybe she will bowl or shoot pool.